But opponents of the deal, including the Democratic Unionist Party, which props up May’s government, refused to drop their opposition. Members of Parliament are set to on Monday evening to seize control of the government’s Brexit plans and hold a series of “indicative votes” on Wednesday. 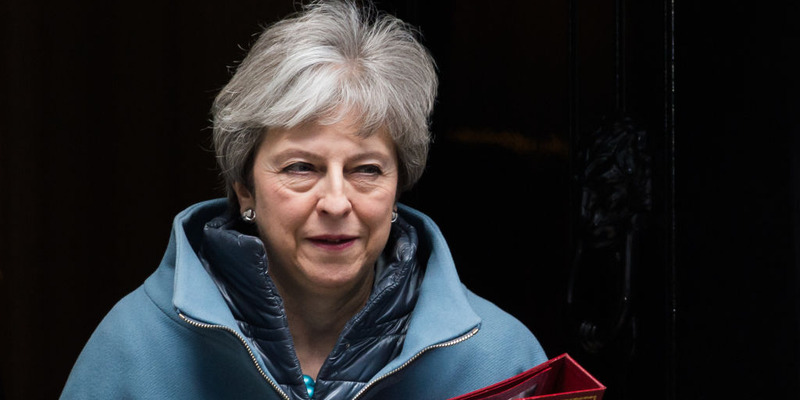 LONDON – Prime Minister Theresa May has pulled plans to hold a third vote on her Brexit deal as early as Tuesday after she failed to persuade opponents to back her deal. “It is with great regret that I have had to conclude that as things stand, there is still not sufficient support in the House to bring back the deal for a third meaningful vote,” May told the House of Commons on Monday. Arlene Foster, the leader of the Democratic Unionist Party, told May in a phone call on Monday afternoon that the party, which props up May’s minority government, had not dropped its opposition to the deal. “Given that the prime minister admitted she does not have the numbers for her deal, will she accept today that her deal is dead and that the House should not have its time wasted giving the same answer for the third time?” Corbyn told the Commons on Monday. A Brexit amendment brought forward by Conservative MP Oliver Letwin expected to pass on Monday night would seize control of the Brexit process from the government and pave the way for a series of “indicative votes” on Wednesday. Among the options likely to be voted on are a softer Brexit and the revocation of the Article 50 process. “I continue to believe doing so would be an unwelcome precedent to set which would overturn the balance of our democratic institutions,” she said. “So the government will oppose this amendment this evening, but in order to fulfil our commitments to this House, would seek to provide government time in order for this process to proceed.